I have written a short Facebook comment in Lithuanian regarding the latest meltdown within the local liberal circles, but this story is worth expanding on. 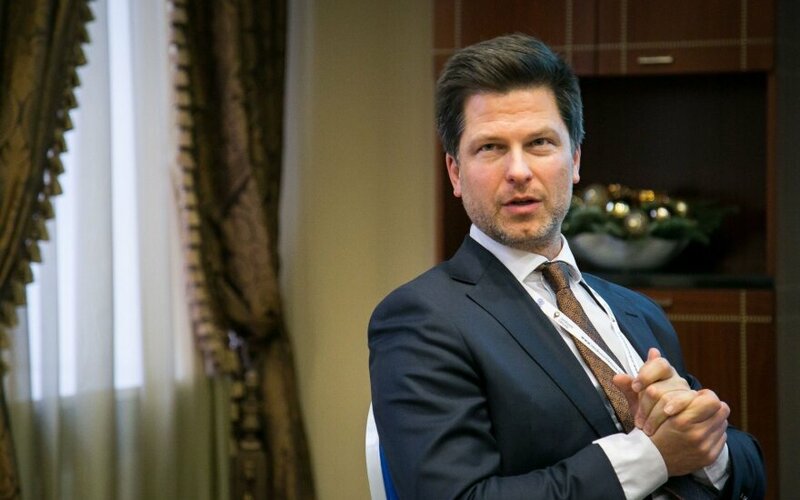 The gist of the matter is that Remigijus Šimašius, the liberal Mayor of Vilnius, fired Darius Udrys, the head of Go Vilnius development agency and my former colleague at the European Humanities University. A formal reason for dismissal was lack of results, but this reason looks very improbable, given the short time both Darius and the agency had worked and could achieve those results. A more probable one is the scandal Darius provoked after posting a Facebook comment in which he asked whether it was moral for Forest Brothers (Lithuanian partisans who waged a guerrilla war against Soviet rule during the Soviet occupation during, and after, World War II) to kill organizers of kolkhozes, collective farms put in place by the Soviets on the occupied lands. Darius raised a lot of eyebrows by simply asking on what moral grounds it was ok to kill civilians who were organizing those kolkhozes. A group of conservatives immediately demanded his dismissal and put a lot of pressure on the Mayor of Lithuanian capital to do so. It seems quite likely that the liberal mayor gave in to the demands of the conservative members within the coalition and let Darius go. Apparently you can be fired in XXI century Lithuania for asking a question about morality of killing. The liberal mayor found courage neither to stand for the freedom of speech nor to acknowledge the real reason for dismissal. As mentioned above, Remigijus tried to spin it by claiming that Darius lost his job for not showing results. This situation touches moral philosophy, the area of philosophy concerned with theories of ethics, with how we ought to live our lives. I find it the most interesting field of philosophy and truly the most relevant one in our day and age when more and more people lose their belief in god(s) and when driverless cars are probably going to reenact different versions of the trolley problem quite soon. The situation touches a number of interesting questions. The original one: when is it moral to kill? Is it moral to kill during occupation? Is it moral to kill civilians if your country is under occupation? A different set of questions is in regards to the particulars of this scandal: when is it OK for a politician to lie? Is it OK in this case? If you call yourself a liberal (by the way, Remigijus is the leader of Lithuanian Liberal Movement party), shouldn't you be standing for freedom of speech? I will not even attempt to address these questions here, since it will take much, much longer than a short article. Just a few observations. It is interesting that the culture of outrage, often associated with the far-left in the West, is largely a conservative problem in Eastern Europe where people tend to be much more entrenched in their national narratives and mythologies and tend to be very protective of their historical stories, national pride and honor whatever those things mean. Sure, given Russia's aggressive foreign policy, the occupation of Crimea, the war in Donbass, meddling in US elections, etc., Lithuanians tend to be fearful of Moscow. Any efforts to question national narratives, even for purely academic reasons, can be interpreted as a security threat. Western Europe used to write off these fears as not serious, but now Lithuanians take pride by telling Western politicians: I told you so. Indeed, many of us, especially millennials, often underappreciate the value of democracy, how volatile it is. We forget how hard it was won and how easily it can be lost. I get those fears. And I am lucky to live here, in Lithuania, now a free country and a full Member of the European Union and NATO. So yes, actions of Forest Brothers during occupation is not an easy subject to touch. And I am not going to attempt to do so. A couple of general remarks, though. If you ask a moral philosopher, I am sure every one of them will agree that Darius asked a legitimate question. Generally killing is wrong. If you are a consequentialist, you would probably say that it is simply wrong to deprive someone of his/her future and all that it contains in terms of experiences and value. Kantians would recall the Golden Rule: Do unto others as you would have them do unto you. If I consider it wrong to kill me, then reason suggests that it is wrong for me to kill others, barring exceptional circumstances. On a personal note. Many people are careless to assign moral blame. It is something totally different when you are living that life. So it happens it touches a bit of my family history. My granddad on father's side was part of the Belarusian self-defense unit and was arrested and imprisoned by the Soviets when they occupied Western Belarus after WWII. My granddad on mother's side served in the Polish army and fought against the Nazis. When he returned home after the war, it was occupied by the Soviets. He was literally made by the new authorities to take the post of the kolkhoz chair in his village. Nobody wanted that job. That's what my granny told me. So yeah, war and occupation is a difficult period. History is hard. What would I do if I were born in the shoes of any of my grandfathers? If I had the same circumstances of birth, the same genes, the same brain neurocircuitry, the same environment, the same quantum processes, etc., I would probably do exactly the same. If you were the same as them, so would you. It helps to remind yourself that free will is an illusion. To make things even more interesting, there is no such thing as a soul, or even a self is something you cannot really trace within your brain. Try blaming some historical figure after that. It doesn't mean we cannot make moral claims. Letting go the beliefs in free will and self simply helps to understand the complexity of processes that lead to actions of individuals. For instance, what would you do if you stared into the barrel of a gun? Most probably you would fear for your life. Not saying what you would do, I can make an easy assumption that fear will hit your amygdala, an almond-shaped structure in the limbic system, bypassing your sensory cortex. This will happen unconsciously to you, much quicker than you can consciously process the emotion. Would you try to fight, run or beg for mercy? How would you know? You are not in that situation. You can only speculate. We don't live those historical lives. We live here and now. It helps to learn from history and try to be a good person. I don't consider myself a pacifist. There are cases where I think it can be morally justifiable to take someone's life. But what we ought to do in that respect is try our best not to allow for wars to happen. Practically all wars are morally dubious. Even those wars which are called "just." It helps to remind us that all national narratives and religions are stories we tell ourselves. Nothing more, nothing less. We are living in a much more interconnected world. I hope it makes it harder for us humans to justify military conflict. While letting go our belief in the afterlife makes it even harder to justify any murder. Another long subject is lying. Politicians like Trump lie all the time. It is vital for us to respect and recognize the value of truth. We should hold our politicians accountable when they fail to be truthful with us. Unfortunately, that's what it looks like in the case discussed. Without going into any further details, I am very disappointed in how Šimašius handled this whole situation. One shouldn't fear persecution for raising moral questions. Even controversial ones. Without discussing them, we, as a society, cannot move forward. Without reasoning what is right and what is wrong, moral progress is impossible. Darius did Lithuania a favor by raising this question. He uncovered how unprepared most of us are to discuss the ethics of killing in war or during occupation. A sincere discussion, maybe a heated debate within the academic circles, should have followed his comment. Instead conservative hotheads immediately demanded the infidel's blood. It makes it even more ridiculous given that a simple Google search on Darius Udrys is enough to show that Darius was a Lithuanian patriot all his life. The scandal showed the weakness of local liberals, how their declared liberalism is quickly aborted when it is politically expedient. I hope Liberal Movement will change. At this point, I am not sure it is even possible any time soon. 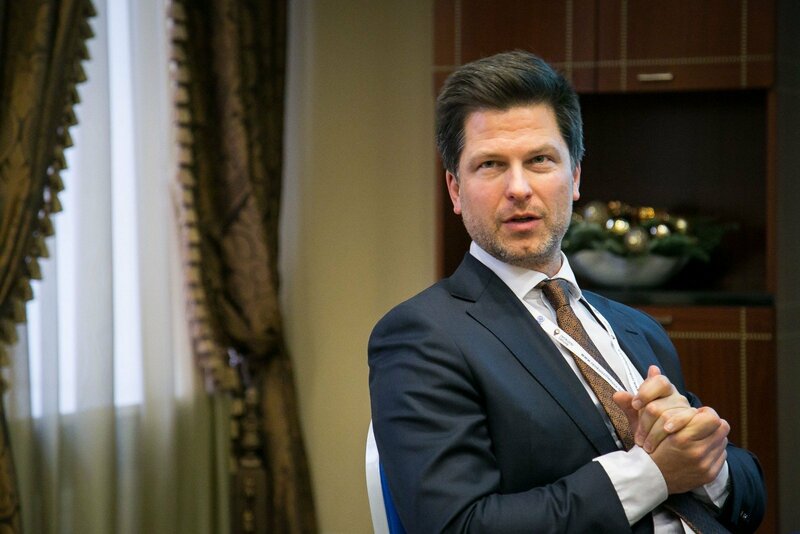 Vilnius City Mayor Remigijus Šimašius has dismissed Go Vilnius CEO Darius Udrys from office.